Need to increase your prospect list? And transform more of those prospects into customers? One great way to do that is through content marketing. This is the process of consistently creating and distributing valuable and relevant content, for free. 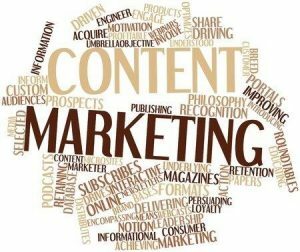 Content marketing is one of the most effective ways to generate interest and build trust. We work with clients to develop effective content marketing materials such as ebooks, white papers and videos (“lead magnets”). This material does not explicitly ask for a sale or promote a brand. Instead, we develop material to attract attention, generate leads, increase brand awareness and engage with an online community. Here are some examples of our work. More examples are available in the portfolio section of this website.